Categories: Amoxicillin, Skin. Tag: ZEE DRUGS. Vemox 500 (Amoxicillin) is a moderate-spectrum antibiotic for cats and dogs belonging to the class of penicillin. 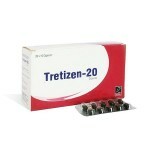 This medication inhibits the growth of bacteria by preventing the cell wall formation of the bacterial cells. Amoxicillin should be used only to treat bacterial infections and not for viral and parasitic infections. 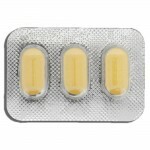 Amoxicillin occurs in the form of trihydrate, which makes up the active ingredient in these capsules. Amoxicillin easily spreads into all body tissues and fluids, except the brain and the spinal fluid, thereby ensuring a wide coverage. 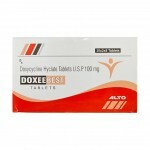 This antibiotic for dogs and cats should only be used in cases that are proven to be bacterial infections. It should not be used in animals that are hypersensitive to penicillin and on animals reared for meat as amoxicillin is protein binding in nature. 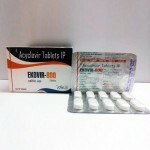 Amoxicillin tablets are contraindicative with certain medications such as Allopurinol and Erythromycin. Capsules are slow dissolving hence it might take some time for the pet to show palpable signs of improvement. 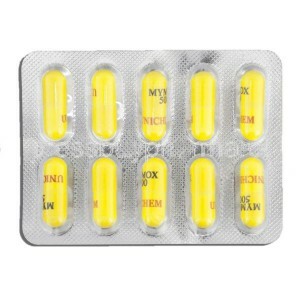 Vemox 500 (Amoxicillin) is available in 250mg and 500mg capsules. The recommended dose of amoxicillin in dogs and cats is 5-10mg/pound every 12-24 hours. 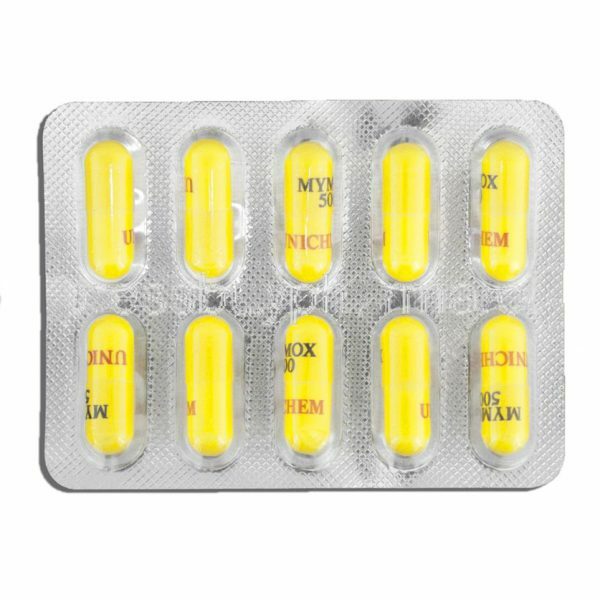 Amoxicillin can be given with or without food as it is stable in gastric conditions. Amoxicillin capsules might set off insulin allergic reactions in some animals, which might have symptoms like rashes, fever, swelling of face or limbs, labored breathing, rapid heartbeat, and imbalance. Over dosage might result in nausea, vomiting, diarrhea, and abdominal pain while abnormally high doses can result in acute oliguric renal failure or hematuria. Other side effects when using amoxicillin include loss of appetite, nausea, vomiting, and diarrhea, which require urgent medical aid.